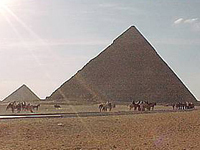 Project Manager for Environmental Masterplan of Giza Plateau, which includes the Pyramids and the Sphinx. Infrastructure improvements, tourism management, control of urban encroachment and designs for a number of new visitor information centres. Project Manager on development feasibility study of tourist zone along coastal areas in Southern Hainan. Guidelines for development and environmental planning. Advice to the London Docklands Development Corporation on urban design and conservation implications of development proposals in historic and environmentally sensitive riverside sites. Preparation of urban design and landscape framework for the Sheffield Development Corporation as part of the regeneration of the derelict heartland of the steel industry. The area includes a number of historic buildings and important sites of industrial archaeology. Review of urban legislation and legal framework on the protection of the historic built environment in four towns including Luang Prabang, which is now a World Heritage Site. Recommendations for revisions to heritage planning procedures and legislation.